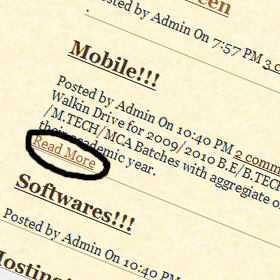 Now Blogger allows to use Read More option in New Blogger Post. Lets see how we can change the Read More Text to some other Text or image. To Change the text Read More to your own text. Go to Edit HTML page in Blogger. now search the below code or code similar to the below code.